Former Brigadier-General of the Nigerian Army and immediate past Director-General of the NYSC, Johnson Olawumi, shared the plans to increase allowances of corps members. The news was announced during a handing over ceremony in Abuja recently. He also added that the federal government is aware of lack of funding and would likely grant the request. Brig. 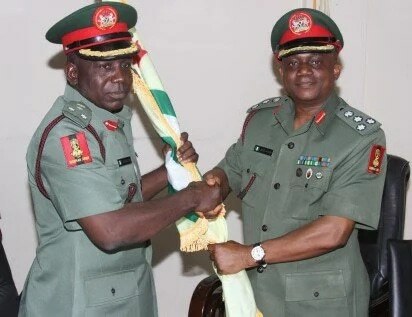 Gen. Olawumi, who will now serve as Acting Commandant of the Nigerian Army School of Electrical and Mechanical Engineering, said, "we have brought to federal government’s attention the urgent need to increase some of the allowances due to corps members and recent response suggests a strong ray of light at the end of the tunnel. The major challenge I had as Director-General of the scheme is the increasing corps population which was accompanied with dwindling financial resources. It is rather unfortunate that we could not execute some major programmes and activities due to paucity of funds. The scheme was not able to handle some of its programmes especially the sports and cultural festival in 2015.
and necessary follow up to the appropriate authorities on the need for proper funding of the scheme. This is especially important now that the current corps population has risen to 260,000 per year. "On Monday, Jan. 6, 2014, I assumed duty as the 16th Chief Executive of the scheme during which I pledged to be transparent, fair and just to all toward the uplifting of the scheme. To actualise this, I wrote out my vision for the scheme which aimed to increase the impact of the NYSC scheme and expand its value to critical stakeholders. I could not have achieved much if I did not get the loyalty and support of the staff, whether I fulfilled in my duties or not I leave it for you staff to judge me. I urged staff of the scheme to continue to support the new head of the scheme to enable him consolidate on the successes and achievements so far recorded. Your role in the sustenance of the scheme cannot be overemphasised as this has over the years contributed to the development and progress of the country." Meanwhile, the new DG, Brigadier-General Sule Kazaure, has promised to give priority to the welfare of corps members and its staff and ensure transparency of the scheme.